Mounir Canaan (1919 – 1999) was a powerful artist whose body of work & style was always ahead of its time & later appeared in the international art scene. 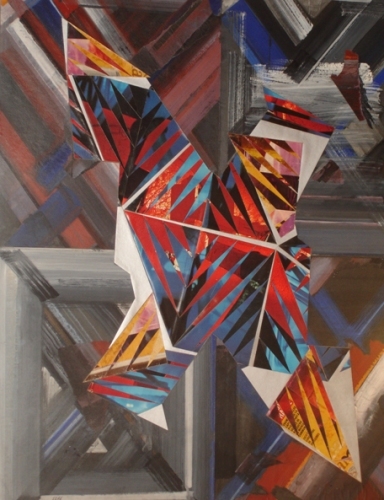 Canaan renders any material compliant to express all that is purely human. He passed from dimensionality, to perspective, to illusionary materialization, to space proportions, to surface texturing, using all sorts of coloring materials, until he reached a status, surpassing the very academicians, and attaining the so-called “academic realism”. 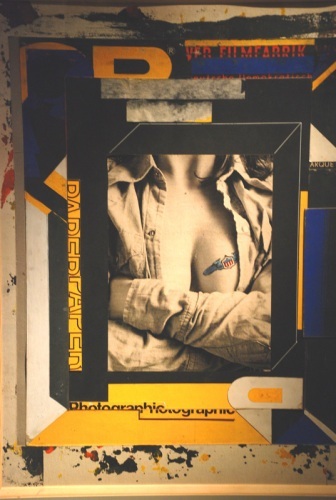 Canaan produced hundred of works that gave vent to his breathtaking talent, rich in diversity and contrast and capable of reformulating surface aesthetics. 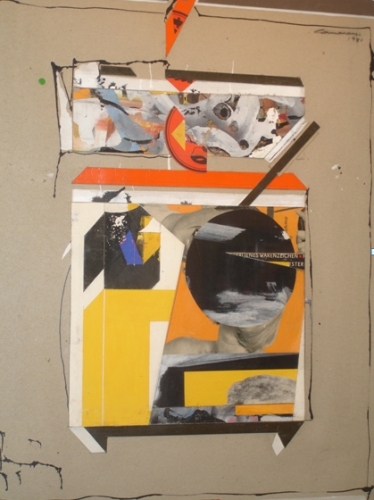 After becoming acquainted with American abstract expression, he later delved deeper into abstractionism in the forties where a stage in Canaan’s artistic journey began & his imagination was fully released giving birth to a new trend in his artistic career namely the art of cutting & pasting(collage). Canaan produced hundreds of works that gave vent to his breathtaking talent, rich in diversity and contrast, and capable of reformulating surface aesthetics. This major experience of his came as a new response to expressive abstraction, which he had adored in the forties. 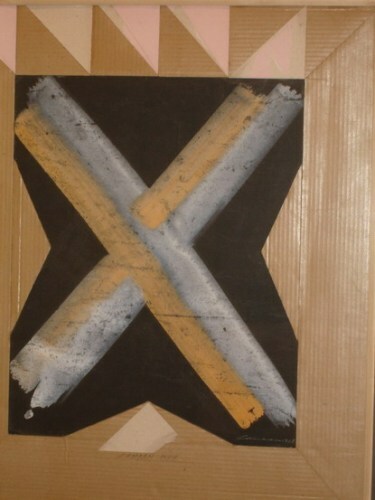 His 50’s artworks have spread widely enough to attract the attention of the international public. Canaan didn’t receive professional art training, he taught himself. His first encounter with drawing was at the age of sixteen. He learned how to handle different raw materials and to experiment with various artistic techniques like drawing on glass. In 1942, he started training himself by practicing on portraits and scenes from daily life. 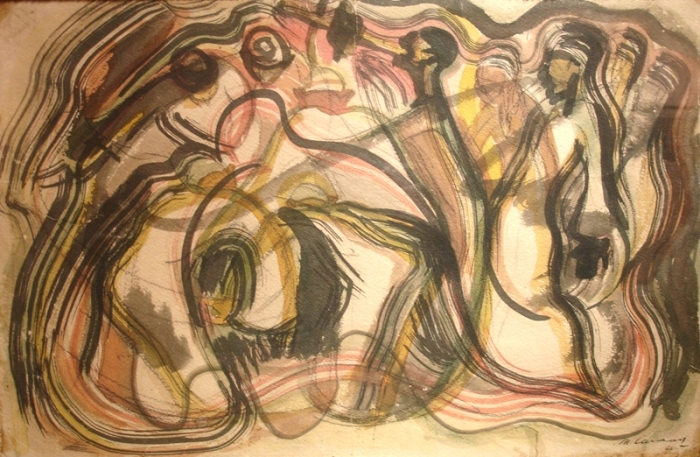 In 1944, The Museum of Modern Art in Cairo bought one of his watercolors “Kahwet Baladi”. 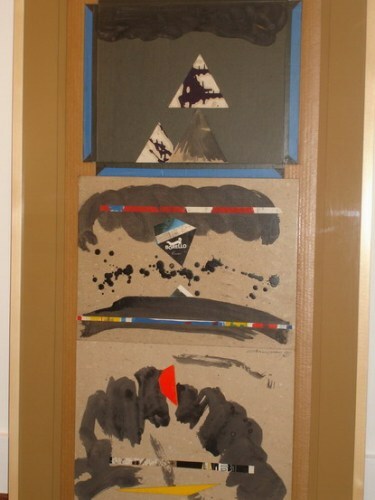 In 1945, he joined Akhbar El Youm as an artist and responsible for production of several magazines. 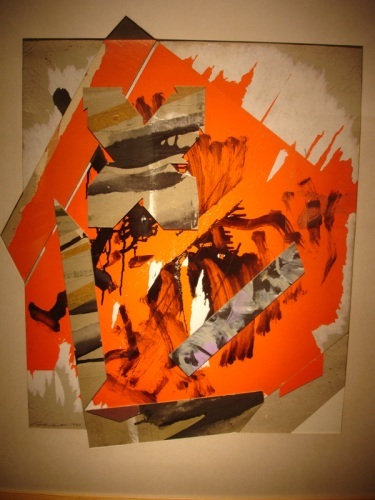 Later he was chosen to be its Art Counselor & he produced dozens of watercolors After getting acquainted with American Abstract Expression, he abruptly shifted from formal to abstraction in 1946. 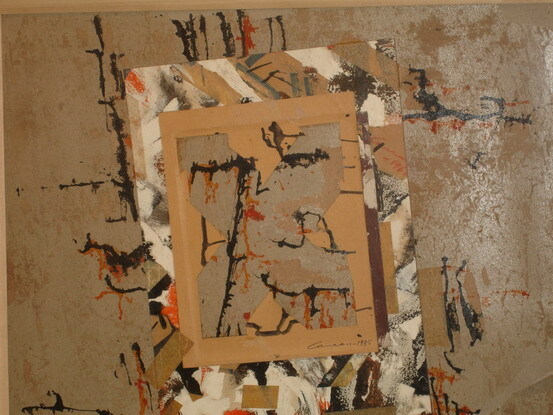 In 1953, he created his first collage artwork. In 1984, he won the first prize in the first Arab International biennale. In 1996, he won the best award with state honors on several occasions and crowned by obtaining State Award in Arts. Sensation for Canaan is a state of Sufism, filled with ecstasies of the moment, attaining its purpose, once it achieves the pleasure of the mind and the taste of knowledge. We are primarily grateful to Canaan’s ceaseless obstinacy to liberate art of its past condition and to spread intrepidity, adventure and ambition. He broke closed circuits. He relinquished fear. He had held doors wide open for qualified talents to assume their role in the Egyptian art movement, getting ready to start the struggle in search of the future. 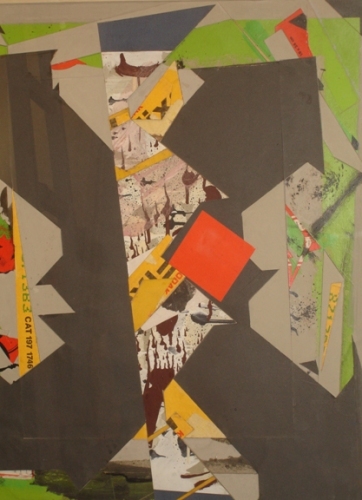 Canaan’s collage work and creative artworks has proved to be the most beautiful standard not only locally but from an international perspective as well. Canaan had exhibitions worldwide which included exhibitions in Latin America, Paris, Spain & Rome. He also participated in Venice International Art Biennale. His acquisitions include: Egyptian Academy in Rome, Museum of Modern Art in Cairo, Opera House & Mohamed Said Museum.